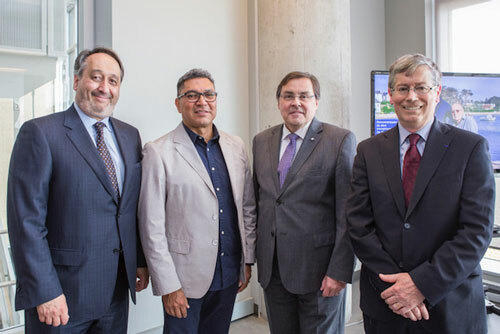 Michel Patry, Director of HEC Montréal; Hugo Valencia, partner of the late Guy Joron; Guy Breton, Rector of the Université de Montréal; and Gilles Savard, Full Professor at Polytechnique Montréal and CEO of the Institute for Data Valorization (IVADO). At an official ceremony on June 12, the Université de Montréal and its affiliated schools expressed their profound gratitude for the $15 million bequest from former Quebec government minister Guy Joron, who died in December 2017. This is the largest bequest ever received by the Université de Montréal and, in fact, the largest in the history of Francophone universities in Quebec. Of the total amount, $12 million will go to the Université de Montréal, where Joron earned his degree in political science in 1964. Polytechnique Montréal and HEC Montréal will each receive $1.5 million. The School has announced that it will recognize Joron by renaming the Sherbrooke classroom in the Decelles Pavilion after him. The Université de Montréal, for its part, has renamed its Laval campus the Guy Joron campus. The building is in fact located in the riding next to Mille-Îles, which he represented during his political career. Guy Joron was born in Montréal in 1940. He was Vice-President of a brokerage firm, a member of the Montreal Exchange, an investment advisor and a financial analyst, before entering politics. He was elected to the National Assembly for the first time in 1970, in the Gouin riding, for the Parti Québécois. Defeated in the 1973 elections, he was re-elected in Mille-Îles in 1976 and appointed Minister responsible for Energy. In 1979, he was named Minister of Consumer Affairs, Cooperatives and Financial Institutions. He left politics two years later. 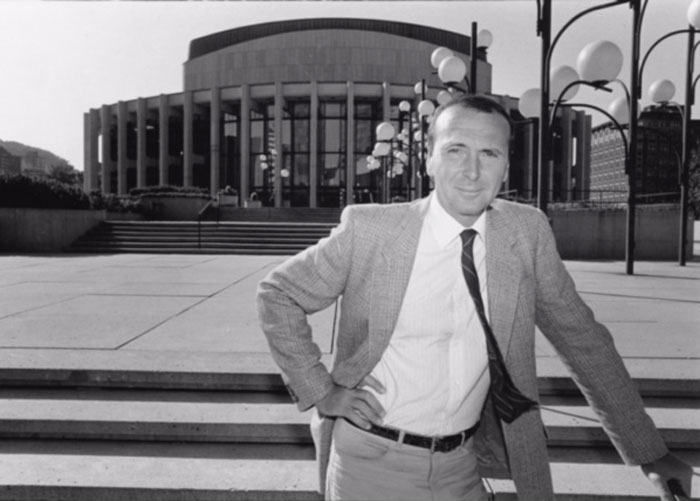 He went on to become a member of the Board of Directors of Hydro-Québec and President of the Place des Arts de Montréal. Joron had inherited a fortune from his father, in the oil industry, and managed to increase it further.